In my previous post about Digital Literacy I attempted to set the context of what is currently happening in education in Wales with regards to the recommendations from the ICT Steering Group report. These recommendations included the changing of ICT to the new subject of Computing, and the introduction of a statutory Digital Literacy Framework that would sit alongside the current Literacy and Numeracy Frameworks. The Welsh Government in their response to that report explained that Digital Literacy would now become part of a statutory Wider Skills Framework. Currently Professor Graham Donaldson has been tasked with reviewing education in Wales and one of his remits is to look at the ICT Steering Group report and recommendations. His review findings should be released at the end of 2014. It was was important for me to try and look at the definition of digital literacy. I personally feel that there is some ambiguity about the term, which I will come back to at the end of this post. For me the term is closely related to someone who can be thought of as being 'digitally literate', someone who is educated or has a good understanding in the field of using digital technology. 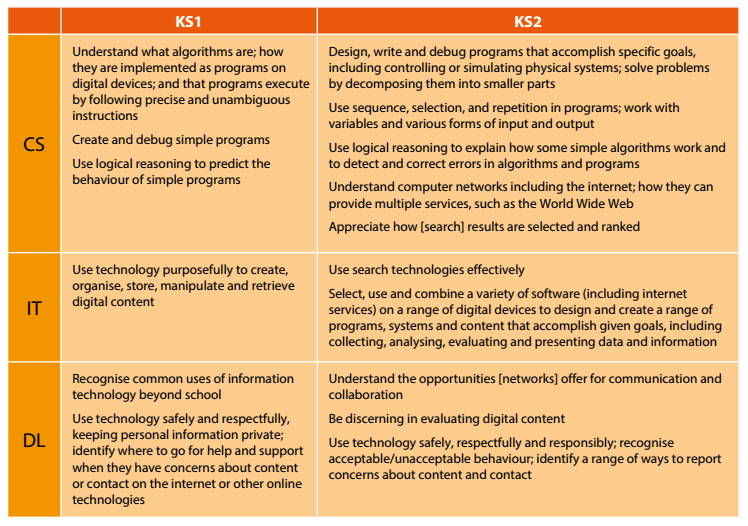 The Royal Society definition of Digital Literacy does outline some of the skills which a person would need, which were very much around the basic functional skills of using a variety of devices and software safely. This is to my mind what schools were doing (or are doing) currently under the umbrella of ICT. I also looked at a definition from Futurelab which broke down digital literacy into eight areas. These included functional skills alongside, e-safety, collaboration, creativity, cultural and social understanding, critical thinking and evaluation, effective communication and the ability to find and select information. Common Sense Media in their description of digital literacy include areas such as; privacy and security, digital footprint and reputation, and creative credit and copyright. All of which you may arguably agree are equally important for someone who can be thought of as being digitally literate in society today. The first point could be thought of as being related to Information Technology, the second to Digital Literacy. A very good guide to the new Computing PoS for primary schools has been jointly produced by Computing at School and NAACE called "Computing in the National Curriculum: A Guide for Primary Teachers". The document, authored by Miles Berry, provides a very good overview to the new requirements by key stage, the terminology used, planning and teaching approaches. Below you can see a screen shot from that document showing how they have interpreted those requirements into the three sections by key stage. Looking at this interpretation of what constitutes Digital Literacy in the primary school we can see that the focus is very much on e-safety, respectful and responsible use of technology, how technologies are used beyond school and opportunities to use technology to support collaborative practices and for communication. These relate closely to the models from Futurelab, Jisc or other organisations such as Common Sense Media and MediaSmarts. The Information Technology requirements basically look very similar to the ICT requirements as they currently stand in Wales under the strands of Finding and Analysing, and Creating and Communicating. I've been unable to find a similar document to the “Computing in the National Curriculum” for secondary teachers (although I'm sure there must be one out there). I've therefore taken the KS3 requirements for England and constructed a table with a similar interpretation of the requirements as the table above. 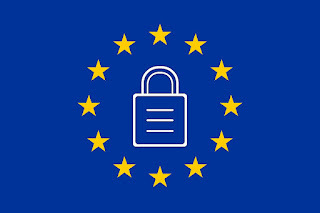 Again Digital Literacy is being defined as e-safety and being responsible and respectful users, but does now develop this into issues around online identity, privacy, and security. Interestingly there are no specific mentions of effective searching (or researching), which I personally would have thought would be developed further as the pupils get older, nor mentions about networks for communication and collaboration. Information Technology is very much about combining applications from a variety of devices to create, re-use, revise or re-purpose digital artefacts to solve a problem. I understand and very much agree with the principle of what is said, however I would like to pick up on the specifics of the Digital Literacy terminology, for the reasons that I'll explain below. At this time, education in Wales is quite rightly focussed on literacy and numeracy, with statutory frameworks supporting their integration across the whole curriculum from the foundation phase to KS3, I think some schools and teachers could easily become confused with the term "Digital Literacy” and what it means for them. For example, I’ve recently seen adverts for a couple of events being held in the UK that have a focus on Digital Literacy in the new curriculum. It was interesting to see that in each, the practical workshop sessions were mainly focussed on technology to support literacy in the classroom. I personally think that maybe they are missing the essence of what being digitally literate in a Computing PoS context is about. Have workshops on how digital skills and tools can be applied to support aspects of literacy, but equally we should also be seeing workshops on the digital skills and tools that support numeracy such as the use of spreadsheets, databases, or sessions on computer modelling and simulations - very important areas in supporting the STEM subjects for instance. The ability to use these tools appropriately is in my opinion, equally as important as the skills needed for word processing, desk-top publishing or video editing which we see commonly used to support literacy across the curriculum. If there were more examples of spreadsheets activities, or modelling and simulation at conferences, courses and seminars then maybe Estyn wouldn't feel the need to highlight these as areas of weakness in primary schools at KS2 for example. In fact, based on the Computing PoS requirements seen above, that have been interpreted as being Digital Literacy, the main focus of any event about Digital Literacy should predominantly be around the issues of e-safety, digital footprint, effective researching, and the responsible and respectful use of technology. This too appears to be overlooked in the event descriptions that I read. Anecdotally I’ve also been speaking to teaching colleagues and asking them what “Digital Literacy” means to them and get the same answer that it's about technology that supports literacy. I therefore believe that there could be a question around the term 'Digital Literacy'. To me and possibly to others, it is ambiguous. The word 'literacy' is certainly a high profile word at the moment with all teachers, and they would naturally use it in the context of "the ability to read and write". It is therefore completely understandable why some might look at the term Digital Literacy and think that this is about technology supporting literacy, which doesn't get fully to the core of what it means to prepare someone to be 'digitally literate' for today's society. "Digitally literate – able to use, and express themselves and develop their ideas through, information and communication technology – at a level suitable for the future workplace and as active participants in a digital world." It also seems like literacies are the new 'buzzword', with a literacy seemingly associated with almost all areas of education. Could this become another educational term that will too soon go ‘out of fashion’? Is there a more appropriate term that could be used, that may help schools and teachers get a better grasp on what it means to prepare students to be digitally literate?